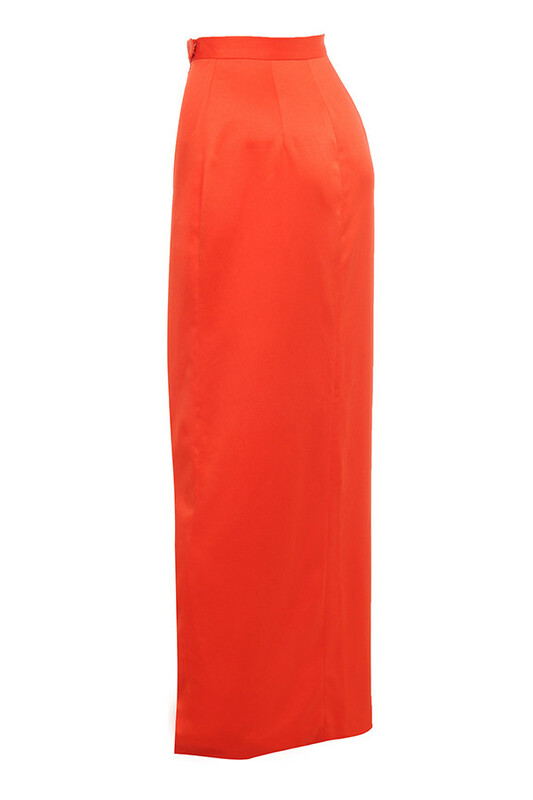 This high octane creation is just perfect for super glam summer resort nights. 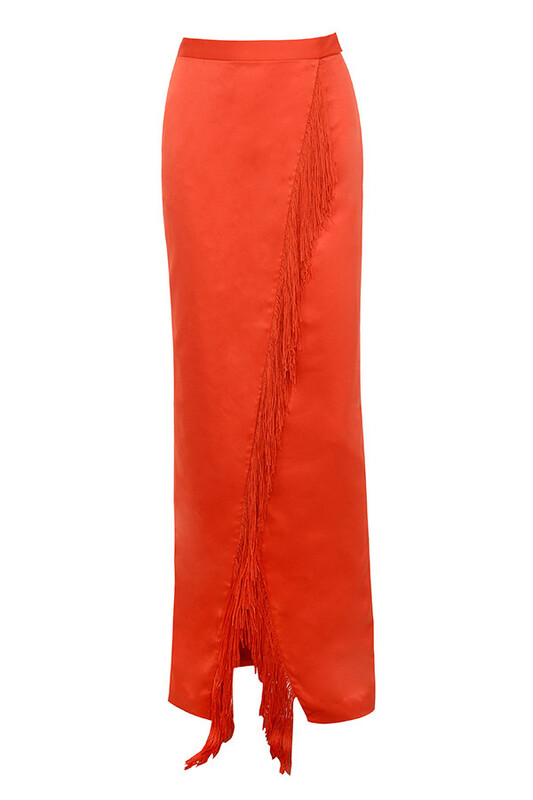 Created from a lustrous satin in a deep tropical orange, 'Kartiki' has a wrap front, maxi length and fabulous fringe front. 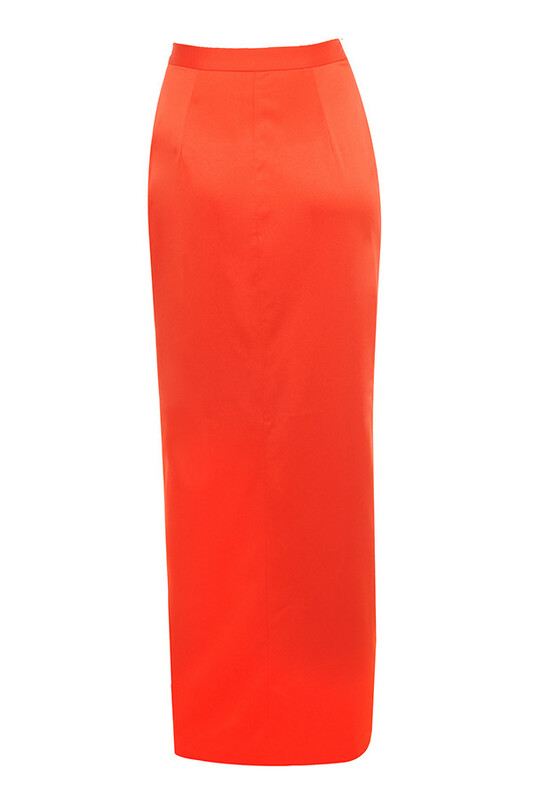 We love the way the thigh split hints at great legs and we suggest you wear this with our tonal 'Lotus' bandeau top as our designers intended. 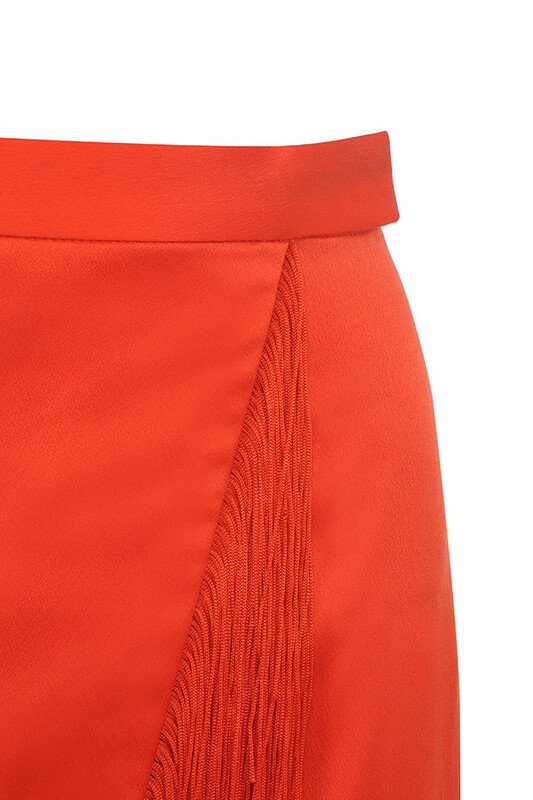 Made from satin and fringe.